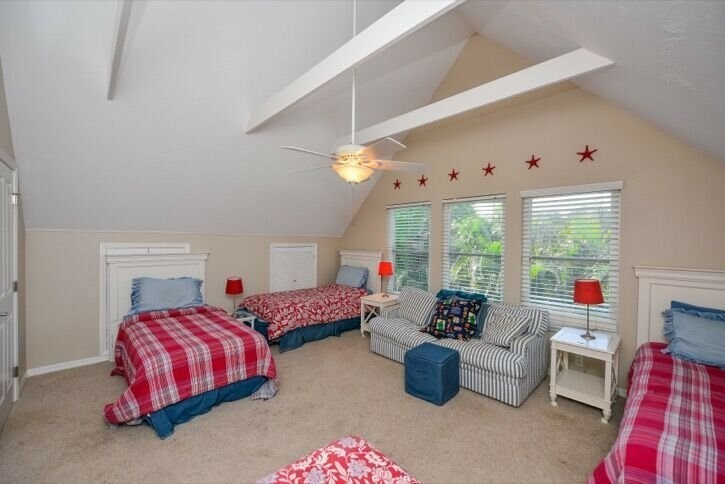 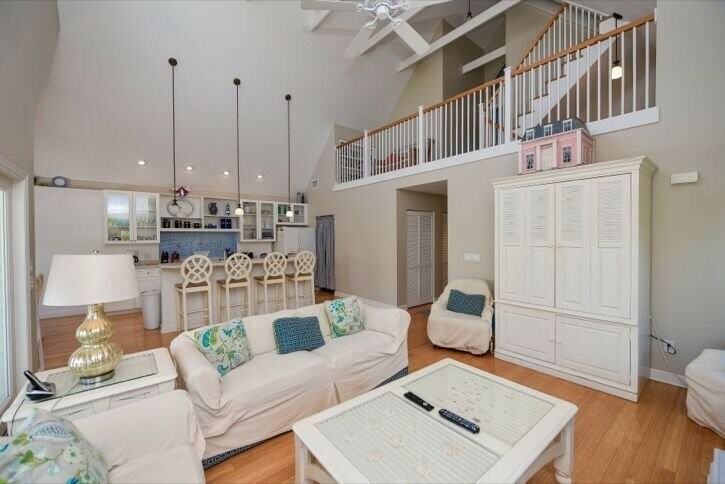 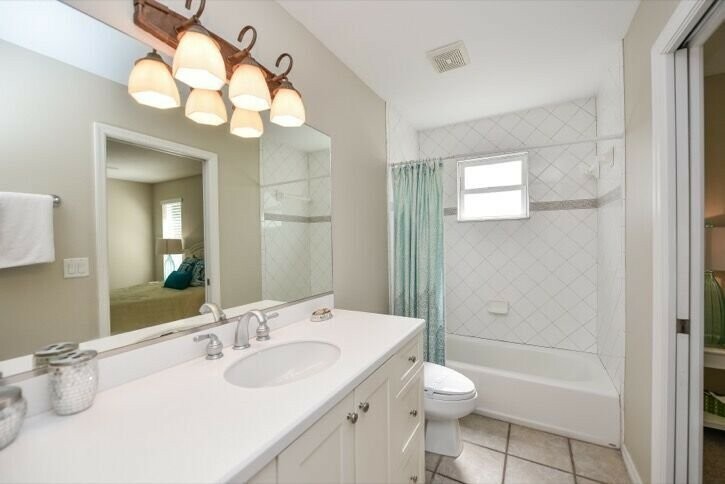 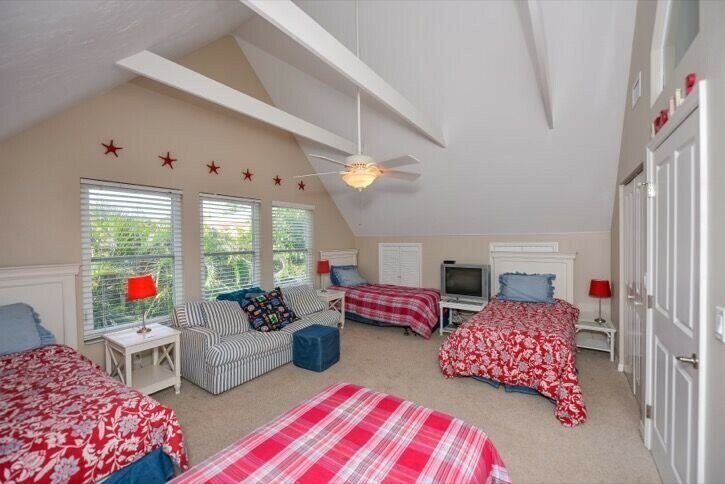 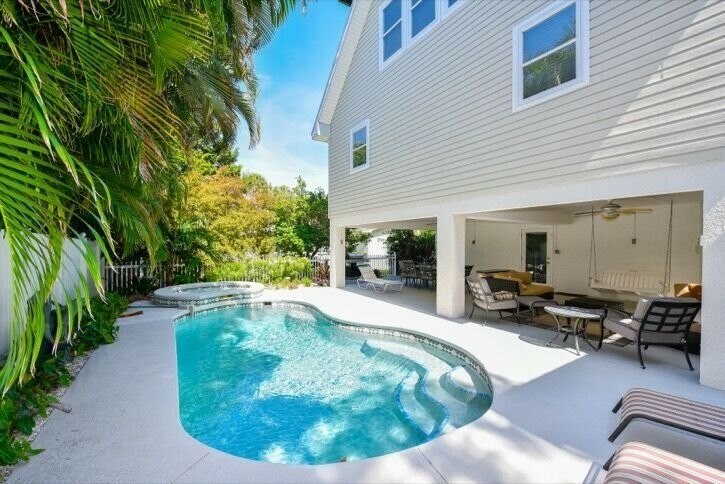 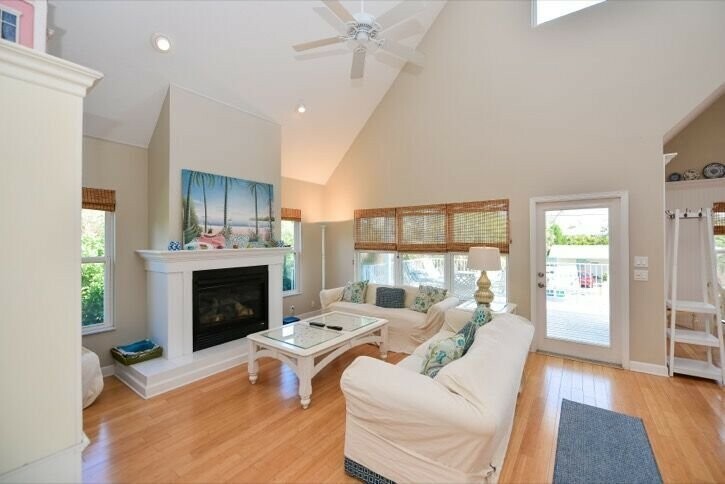 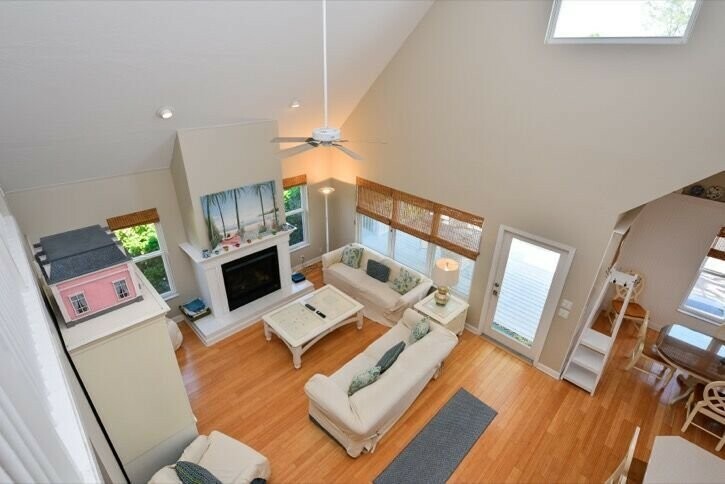 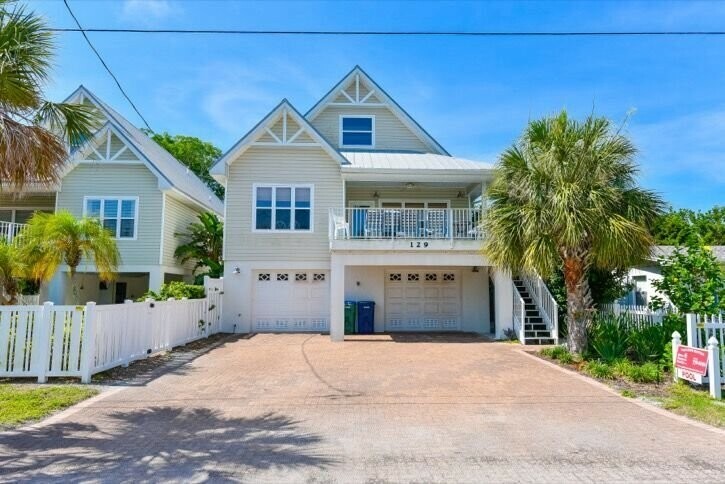 Two For Sea ... Light and bright, beautifully decorated 3 bedroom, 3 bath newer home located in the city of Holmes Beach on quaint Anna Maria Island. 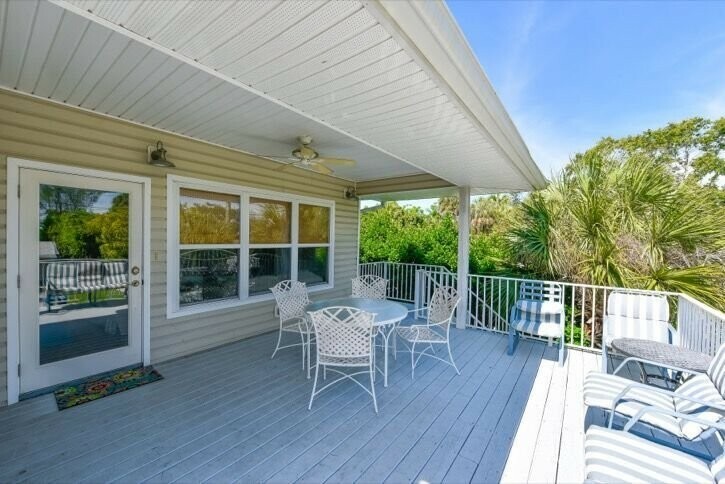 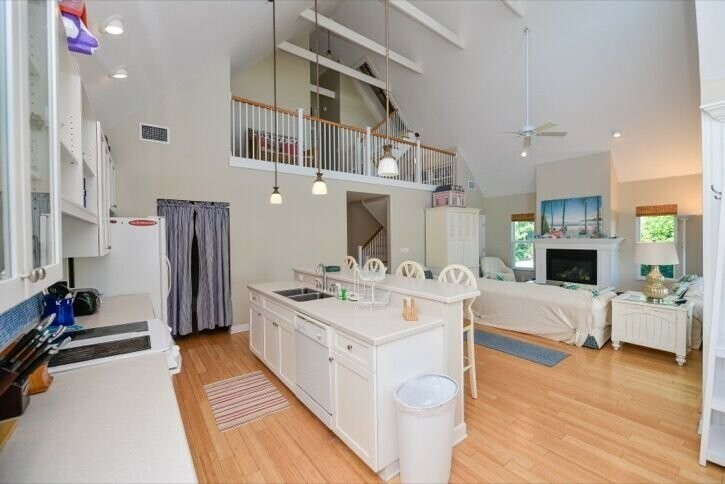 Located west of the main drive, just a short one block walk to the beach with easy beach access. 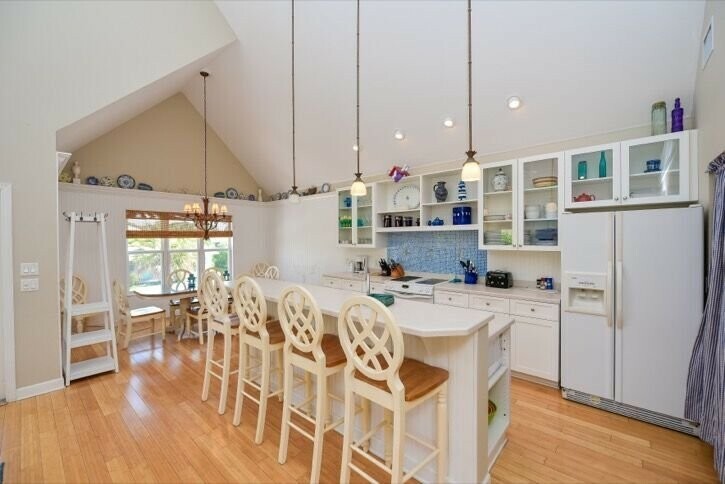 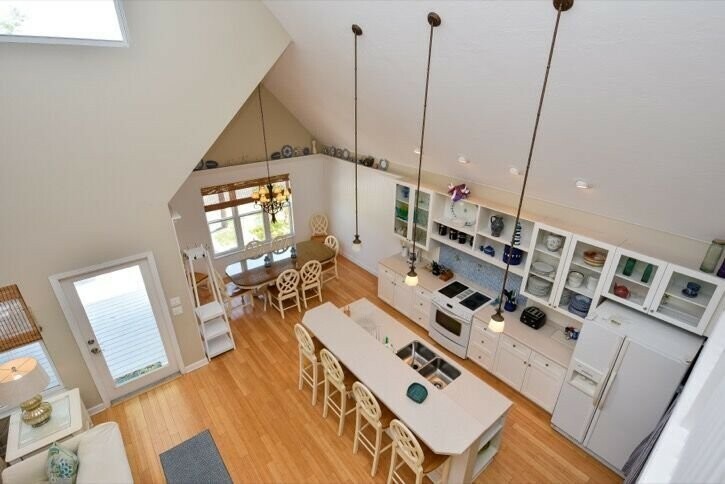 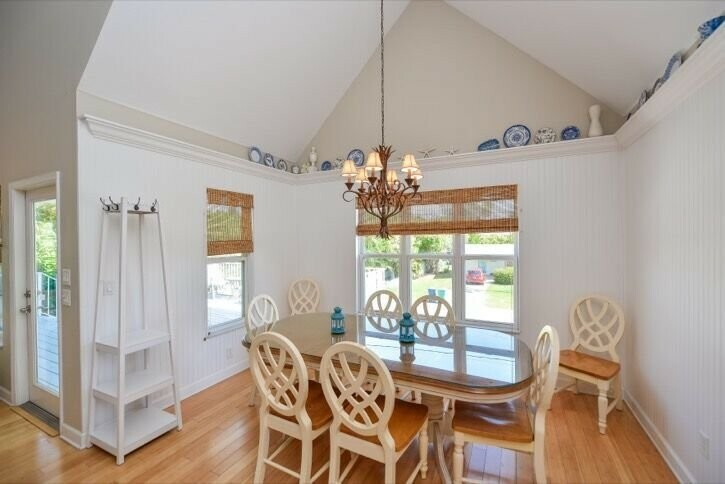 This home offers bamboo floors, cathedral ceilings and a great entertaining kitchen open to the living and dining spaces. 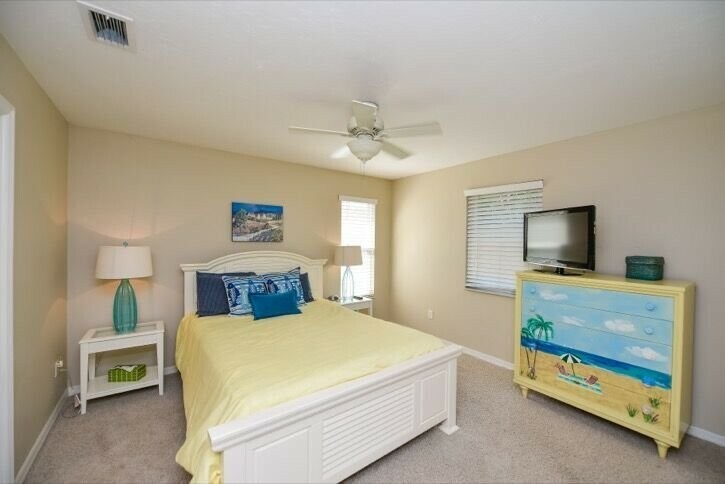 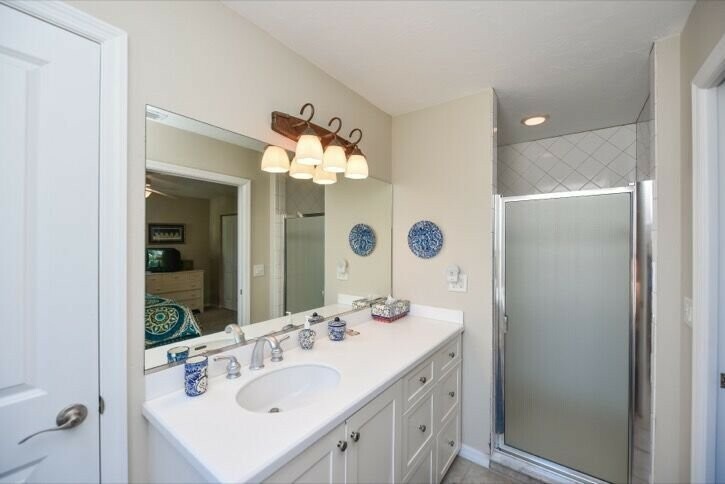 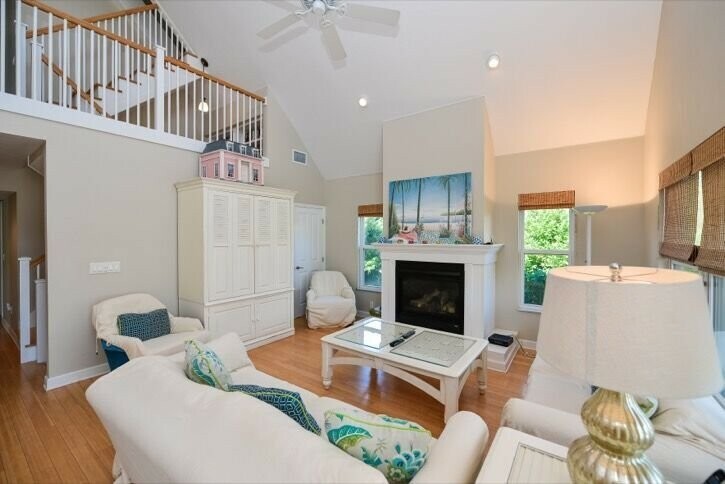 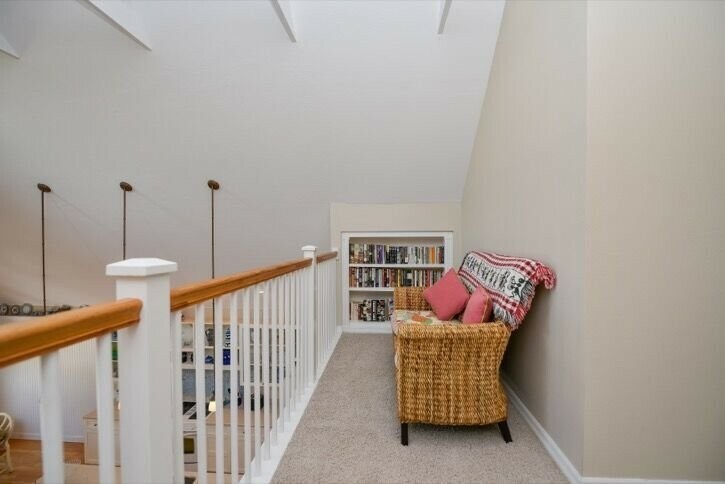 Two master suites on the main living floor and a large loft bedroom upstairs with its own private bath as well. 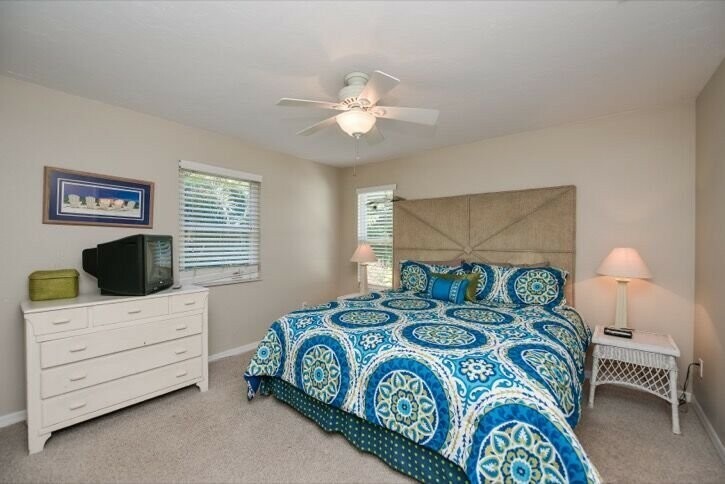 High speed, wireless internet access provided and flat screen TVs. 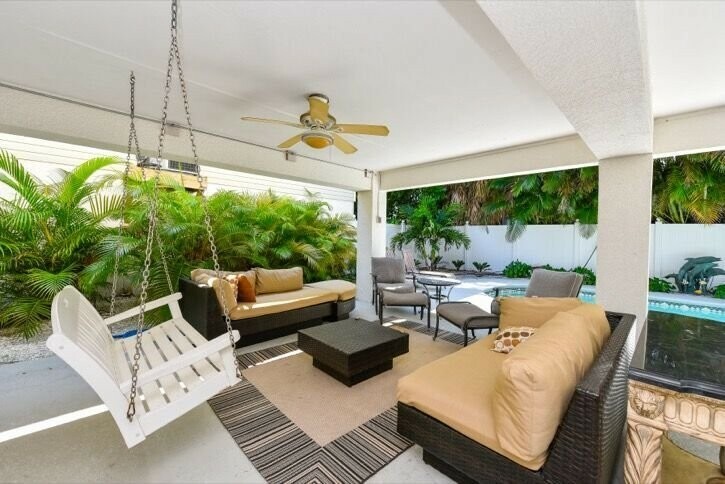 Heated pool (jaccuzzi jets not provided) and tropical pool side courtyard with comfortable lounge seating.Tan by the private pool or stay cool in the shady poolside lounge area. 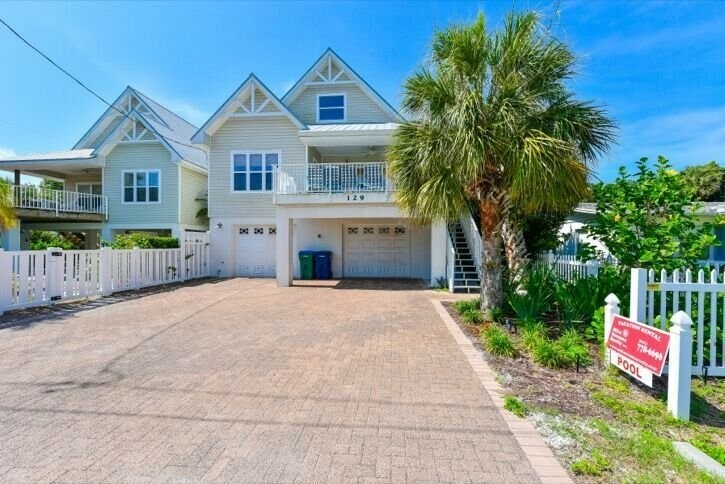 Walk to popular dining spots such as Eat Here, Hurricane Hanks Pub, The Feast and Minnie's Cafe. 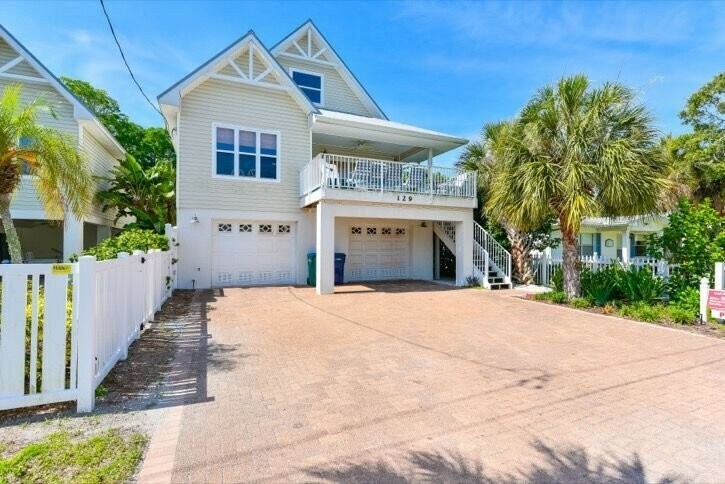 Package liqour and wine stores just a short walk or bike ride from this home. 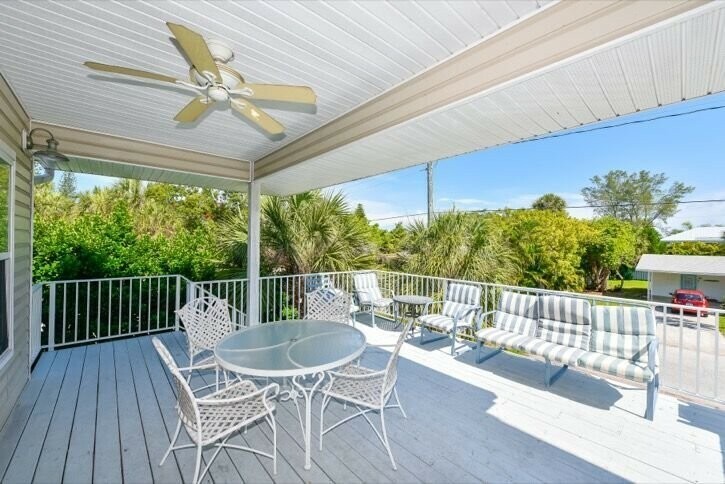 Our free Anna Maria Island Trolley has a nearby stop and it can take you all over the Island without having to hop in your car!